Blog Why releasing your negative emotions matters ? Every time you’re in a state of anger, or resentment, or fear, or sadness, or guilt, or shame, you literally limit your ability to think clearly, feel safe, and manifest the better things in life. Simply put, negative emotions ROB us of our vitality, life force, and ability to create what WE want in our lives. Yes… ROB. 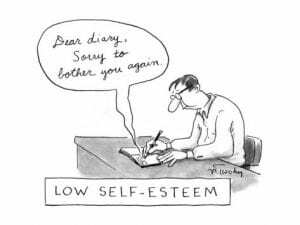 They are the thieves of our future dreams, quietly stealing the energy, self-love, and confidence that we need to live our best lives. And why “quietly” ? Because it’s usually not something we think about consciously, on a day-to-day basis. We bury it because it feels safer to hide it there and not explore it. But when you finally let it go by using EFT your life can TRANSFORM !! Remember EFT or Emotional Freedom Techniques, most commonly known as Tapping, is a type of energy psychology that combines eastern medicine and modern psychology. EFT, is a powerful way to deal with unresolved issues, transform beliefs, and reprogram yourself for greater happiness and success. Even if it has been utilised by thousands people worldwide, we can all admit that tapping is a little weird. On some level it feels unreasonable that tapping on our bodies can produce physical and emotional healing and transformation. And even though we know it works because of our own experience, it can be difficult to share tapping with skeptical friends and family members. The good news is that there is research on EFT going back more than a decade. With each completed study, we are seeing proof for what we already know : EFT works !! Dr. Peta Stapleton, Ph.D., is one of the researchers on the leading edge of this research. 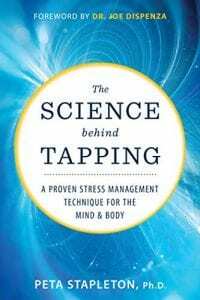 On April 16th Hay House is publishing her latest book, The Science behind Tapping : A Proven Stress Management Technique for the Mind and Body. This week, in TappingQandA podcast, Gene Monterastelli has for you a conversation with Peta about the book, insights into the research that has been done, and how we can use this information to do a better job of sharing tapping with others. Listen to the conversation, this is essential information. In this conversation Peta provides ways you can get better results from your tapping practice as well as a preview of her book The Science Behind Tapping you could find in the books corner below. EFT researcher and author Peta Stapleton, Ph.D., brings together the history and cutting-edge research of tapping.She also shows how tapping can be used for a whole host of ailments, including anxiety, weight issues, depression, trauma, and more. Dr. Stapleton’s own groundbreaking study involving food cravings in overweight adults helped establish EFT as an effective, valid form of therapy. Pre order the book “The Science Behind Tapping” is now available. And you know what ?… I offer you the first 30mn consultation !! And, if you have any stories to share with our community, please fell free to leave a comment below.